This entry was posted in Pole Barn Questions, Pole Barn Design, Pole Building How To Guides, Concrete, Footings, Building Drainage, Porches, Columns, Pole Barn holes and tagged wet set brackets, sonotube, sturdi-wall brackets, Bigfoot system on April 2, 2019 by admin. 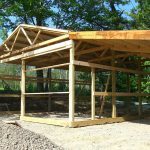 One of the great things about being the Pole Barn Guru is helping people who have construction challenges of all sorts – even those who do not have post frame buildings. 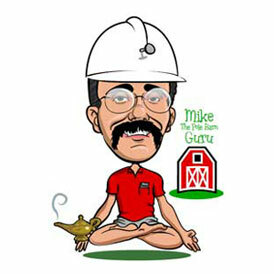 Hi Pole Barn Guru, and thanks for your informative website and blog. 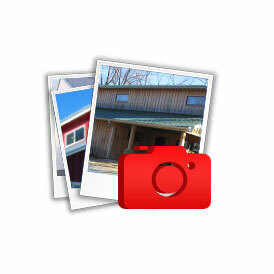 I’m using email rather than the website question portal so I can include pictures. I’m a contractor, but my normal specialty is finish carpentry. I wouldn’t normally take on a pole building job, but this one is for my father so I’m helping him build it to try to save some money. We’ve acquired a 51 x 120 ft building package made by Miracle Truss, a company which is apparently out of business, hence the lack of manufacturer support. The building was purchased years ago by a businessman who never put it up and finally decided to donate it to a church for a write-off. Long story short it eventually made its way to us, still palletized as new, for an incredible savings. So off the bat I’ll apologize for not buying a product from you, as we already have one. But I’m hoping I can use your expertise and perhaps do business in the future. In case you’re unfamiliar with Miracle Truss, their design uses open-web steel trusses with owner-provided wood purlins and girts. Clips are welded to trusses to receive wood members. The design gives the strength and span benefits of metal with some of the economy of locally sourced lumber. It seems like a good design, but we’re still only in the planning & groundwork stages. 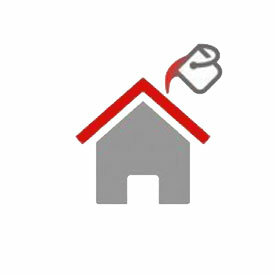 The package includes Metal Sales siding and roofing. My question relates to the use of “splash planks” on a metal-sided building. I know the purpose of the splash or skirt board in typical construction, but I’m doubting its necessity in this particular design. As you can see in the attached pictures, their plans call for a treated 2×6 splash plank which is used as the outside form board when pouring footings, with anchor bolts pre-installed, and then simply left in place and attached to the sill purlin. This places the outside plane of the wall 1-1/2″ outside of the concrete footing. There’s nothing wrong with this design of course, I just wonder if it’s necessary. I’m considering eliminating the permanent mud board, removing the concrete forms and using the sill (bottom) purlin to attach both the flashing and sheet. The last picture is a quick drawing of what I have in mind. This means I would have to form my foundation 1-1/2″ outside of the stock plans, but save me 340 LF of AWW 2×6. Any thoughts on eliminating the outside splash board? I’m also trying to decide the dimensions of my footings. Each post will sit over a buried Sonotube pier with a Bigfoot base, which will bear the weight of the building. The footing is really just a concrete”tie beam” and provides a sill for the walls, without really bearing anything. The total thickness of the wall is 17.5″ at the posts (our posts are W12″ I-beam, plus 5.5″ girt. ), but only 5.5″ in between posts. I could form a continuous 17.5″ footing over the top of the Sonotubes (my original plan), or form an offset 8″ w footing to match the outside of the wall. I also am not sure how to choose footing thickness, since it’s not bearing. No guidelines are given for foundation in the package instructions, since climate makes a big difference. We are in southern Alaska, our code frost depth is 4 ft, which is where the tubes will sit. But I’m not sure what the footings should be. Any comments? Thank you for your kind words. We strive to be informative and entertaining. IMPORTANT DISCLAIMER: The response below is only in regards to the now defunct Miracle Truss which produced the building package you now own. The Miracle Truss brand name is now held by Spider Steel Buildings, LLC. The current Miracle Truss was formed in 2015 and has no connection with the prior company or its products. According to their attorney, Kevin R. Coan of Hinshaw & Culbertson LLP, the current Miracle Truss can and does provide the lumber package as part of its services. Find out more about the new Miracle Truss at https://miracletruss.com/. My objections to the defunct Miracle Truss system has always been how does one go about finishing the inside of the building with the steel frames in the way and (very important to most) the having to source one’s own lumber which can end up in a sticker shock situation. Your Miracle Truss building’s outside 2×6 splash plank is there for a reason, and should be used. The bottom of it is the point at which level grade is on the exterior of your building. If it is not present the steel base trim will probably end up in contact with the ground outside of your building – which will result in premature deterioration as it slowly rusts away. As to your footings, the best advice I can give would be to contract with a registered professional engineer in your area who can do an analysis of the forces upon your building, wind load, snow load, seismic, exposure, et. al. Also the engineer will need to take into account the bearing capacity of the soils at your site. Good luck and let me know how it all turns out! This entry was posted in Pole Barn Questions, Pole Barn Design, Constructing a Pole Building, Building Contractor, Trusses, Professional Engineer and tagged splash plank, steel trusses, sonotube, concrete footing, wood purlins on August 3, 2017 by admin. 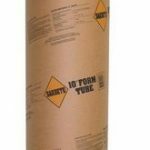 Dear Guru: Should I Use Concrete Sonotube Foundation? 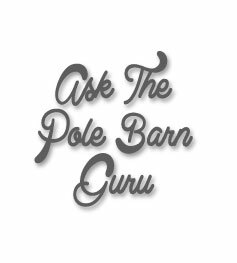 DEAR POLE BARN GURU: I am planning to build a post-frame house 32×40. I built a 16×16 post-frame barn last Summer as practice and found that I hit bedrock at 2 to 2.5 feet. I know that most post-frame buildings require a 4 foot hole with a concrete footing to keep the post from settling, while also providing lateral strength. 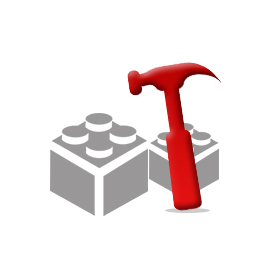 I don’t seem to need the depth for settling issues since I’m building on bedrock, however, I lose the lateral strength of a deeper hole. Is there a way to add lateral strength? Also, since I’m not getting that support from a deep enough hole, would it be better to use a concrete sonotube foundation with sturdi-wall brackets to mount my posts? DEAR DIGGING: If you think about it, a sonotube filled with concrete and a bracket on top, is going to provide less lateral resistance than a column in a hole filled with concrete. Depending upon building dimensions, exposure to wind and soil conditions above the bedrock, it is very possible increasing hole diameter and using a complete concrete encasement could do the trick. As you firm up your plans, we can provide a preliminary hole layout. From this, you can dig the holes and give an exact measure to what point solid bedrock is encountered. This will allow for a design to be created which will minimize the amount of digging and concrete, without negative effect upon your structure. DEAR EVENTFUL: It is not too late, but it will involve work which could have easily been avoided. The concrete cookies are not going to be adequate to prevent settling and they do nothing to prevent uplift. I’d start digging. Make sure the bottom of the hole (directly above the cookie) ends up larger in diameter than the area closer to the surface. You should probably go to two foot diameter and then pour at least 18 inches deep of premix into the hole. This entry was posted in Pole Barn Questions, Concrete Cookie, Footings and tagged pole building holes, building on bedrock, concrete sonotube, sonotube, sturdi-wall brackets on October 21, 2013 by admin.